Out of The Blue will be closed this Easter Sunday 21st of April and reopening Wednesday 24th of April. Homemade veggie pattie (lentils, brown + white rice, carrott, pumpkin, parsley, onion, garlic, breadcrumbs) | OTB garlic mayo | chilli | usual trimmings | staff tip :add a hash brown! Curry style mayonnaise *try it with fish! About Out Of The Blue. Arriving from France in 1986, they fell in love with Sydney and the Australian way of life and soon Jean Marc was working as a chef at a popular seafood restaurant in Bondi where he stayed for ten years until deciding it was time for his own place. The original Out Of The Blue opened its doors on Clovelly Road (where the Bendigo bank now is!) The little fish and chips with a French twist was doing well although after five years the lease was terminated. This was a very tough time as the future of the shop was unclear. Fortunately, luck struck and in 2001, Jean Marc and Sophie came across an empty shop for rent just down the road. With a lot of work to be done and not much time to do it, the couple took the plunge, poured out their life savings and built the OTB shop you have come to know and love. From day one, they had the support of their beloved locals and over the years their popularity has grown as each summer more and more people seem to discover the OTB burgers as they come for a swim at beautiful Clovelly Beach. Out Of The Blue would not have become so popular if it wasn't also for their older son Julien’s hard work, dedication, ambition and creativity. He and his girlfriend Matou are the next generation to continue the Out Of The Blue story. We don't believe in compromising on quality or taste, thats why we put a great emphasis on homemade. From the start we have been dealing with very reputable suppliers to ensure the consistent quality of our product. How are we supposed to source quality seafood for our customers if our oceans and its creatures are FULL of plastics. 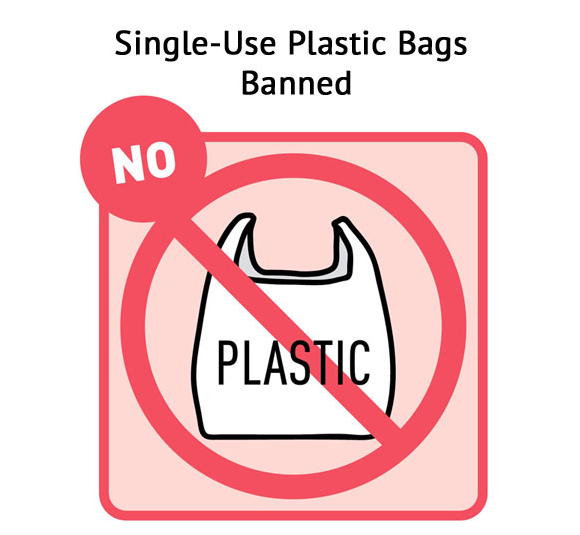 At OTB we have been agonising for many months over the fact we give out bags and contribute to the use of single use plastic bags and we have been searching for a solution. We are proud to announce that we are going to do our part in the war against single use plastics. This means that we will no longer be using plastic bags for our orders, or single use straws and plastic cutlery for our food and drinks. Whats the alternative? Feel free to BYO bag & we will pack the order for you. Dont have a bag? No problem, we have paper bags for 50c or cardboard boxes for big orders. We're also a huge fan of these metal keyring straws that you can buy here. OTB is a local, family owned business and we understand the importance of community. If you have any allergies we want to be able to cater to your needs too! Coeliac? Feel free to bring us your own bread and we will make your order with it! We love nothing more than seeing how you enjoy our menu. By the beach? Hungover on the couch? Whatever it is, tag us in your photos and don't be afraid to say hello! We love getting to know you and we care about our community. After all- you're the reason we do what we do! Want to work with us or simply get in touch? Fill out the form below and we will get back to you ASAP.